Gallo Family Vineyards White Zinfandel is a popular American Rose Wine available from Tesco Groceries in 75cl to buy online. Visit Tesco Groceries for the best price for 75cl of Gallo Family Vineyards White Zinfandel or compare prices on our other American Rose Wine products. This White Zinfandel combines energising refreshment with radiant fruit scents of fresh strawberry and traits of white peach. A medium-bodied wine with a gorgeous, jewel-like colour, the wine has fruit flavours of dried cranberry, watermelon and fresh cherry. Where to buy Gallo Family Vineyards White Zinfandel ? Gallo Family Vineyards White Zinfandel Supermarkets & Stockists. 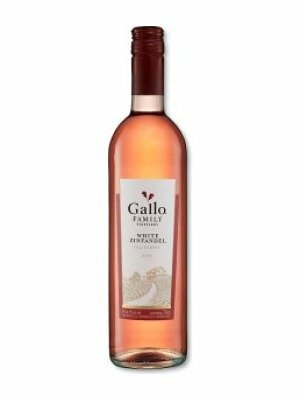 You can buy Gallo Family Vineyards White Zinfandel online in most retailers and find it in the American Rose Wine aisle in supermarkets but we found the best deals online for Gallo Family Vineyards White Zinfandel in Tesco Groceries, Tesco Wine, DrinkSupermarket.com, and others. Compare the current price of Gallo Family Vineyards White Zinfandel in 75cl size in the table of offers below. Simply click on the button to order Gallo Family Vineyards White Zinfandel online now.